Solutions for businesses through no-cost, confidential, consulting by experienced professionals. Marketing, finances, planning, technology, environment, exporting, valuation, regulations, human resources, lean manufacturing, workshops, research, connections, student projects, and more. Our goal is the success and growth of small businesses in Idaho Region II from Riggins to Potlatch. 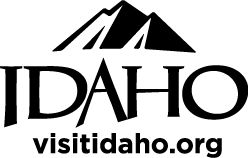 We know Idaho and can help you with business skills, financial performance, competitiveness, and reaching your goals. Our main office is located at LCSC in Lewiston and we have a part-time consultant serving the Moscow area. Please call for an appointment: 208-792-2465.